Neck pain affects roughly 70% of us during the course of a normal life. Pain can vary from dull & persistent to severe & burning – where there is entrapment of a nerve the pain can travel all the way down the arm and be associated with numbness, tingling and (in severe cases) loss of power to the hand and fingers. The neck is one of the most complex areas of the body and allows a great deal of movement which may in turn contribute to how frequently it is injured. The neck is made up of 7 bones which attach to the bottom of the skull. The bones articulate with each other by 2 different types of joint and this structure is supported and strengthened by a complex network of ligaments, muscles and tendons – any of these structures can be the source of neck pain. Your physiotherapist will ask you detailed questions about your symptoms and perform a physical assessment in order to diagnose the cause of your neck pain. There is not usually a need for further tests though investigations, such as an x-ray or MRI scan can be arranged directly by us or through your GP if it is deemed appropriate. Evidence suggests that by far the most effective treatment for managing neck pain is early mobilisation – i.e. get it moving! Physiotherapy can be extremely beneficial when managing neck pain. A physiotherapist can provide you with advice on your posture and exercises to get the neck moving normally. They can also perform manual treatment on your joints and muscles, to help restore normal movement and reduce pain. In addition, manual therapy techniques and nerve stretch/release techniques can be used in the treatment of ‘trapped nerves’. Particular emphasis is placed upon your posture and ergonomics (i.e. the way you interact with your work place/vehicle) and you will be given a dedicated programme of exercise, advice & suggestions for ergonomic adjustments as part of your rehabilitation. Whiplash is a common injury which is caused by a sudden movement of the head forward, backwards or sideways. It often occurs during road traffic accidents when a collision jolts the head backwards before it then ‘whips’ forwards. Whiplash is referred to as ‘whiplash associated disorder’ (WAD) as this better describes the range of possible symptoms. A WAD is often referred to as a ’soft tissue injury’ because during impact the ligaments and tendons are forcefully stretched beyond their normal limits. This can cause pain, stiffness and loss of movement in the neck. Other symptoms can include headaches, low back pain, numbness/pins and needles/pain in the arms and hands among other symptoms. However, Whiplash is not necessarily caused by a road traffic accident – a sudden slip, trip or impact injury sustained during sport can cause exactly the same symptoms. All of The Village Physios have extensive training & experience of treating patients with whiplash. 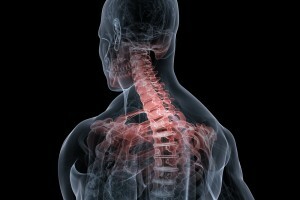 They employ up to date & medically researched treatment techniques advising you on the best treatment options if you are suffering from whiplash and guiding you through the recovery process. We treat large numbers of patients suffering from Whiplash via direct referral from the main car insurers – we have the experience to help you get better quickly. Your physiotherapist will ask you detailed questions about the origin of your symptoms and perform an exhaustive physical assessment in order to determine the extent of your whiplash. There is not usually a need for further tests though investigations, such as an x-ray or MRI scan can be arranged directly by us or through your GP if it is deemed appropriate. Exercises and stretches to get the neck moving. Soft tissue massage may be used to relieve pain and restore movement. Acupuncture can be used for pain relief and to reduce the spasm in over-tight muscles.